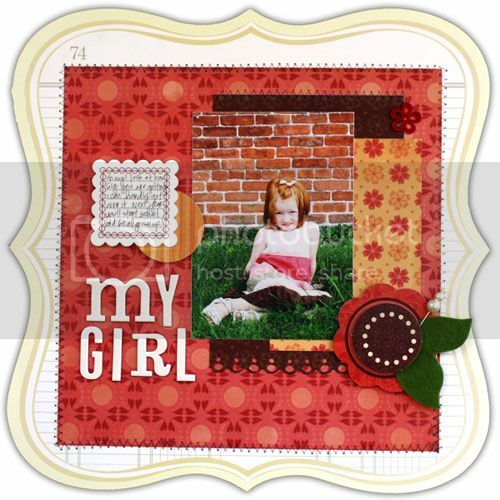 Here's the layout I created. As you can see, I usually don't follow sketches precisely, but use them as an inspiration and put my own spin on them. 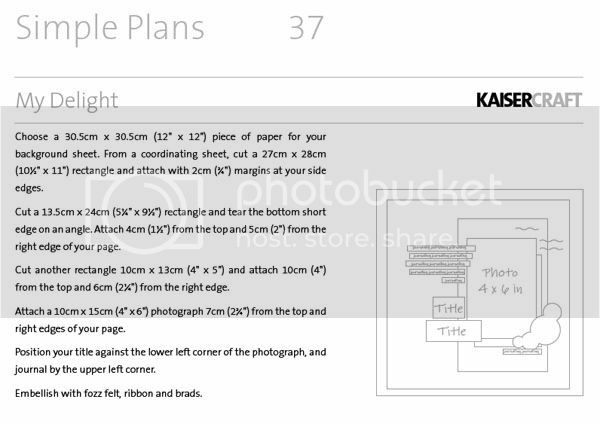 A TSR CHALLENGE: I challenge each of you to create a layout or project based on a Kaiser Craft Simple Plan this week. When you do, post it in our TSR Flickr Gallery and share your inspiration! your work is always inspirational! LOVE this LO! The PP goes so well with the brick background in the picture! Nice!